At the same time John Wilkes Booth shot President Abraham Lincoln, Lewis Payne attempted to kill Secretary of State William H. Seward. Seward survived the attack. 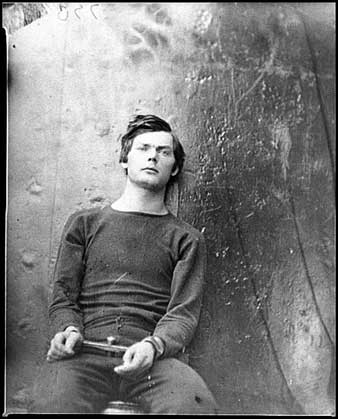 Alexander Gardner took this photograph, one of several of the Lincoln conspirators, shortly before he was executed on July 7, 1865. I’ve had Roland Barthes’ Camera Lucida on my list of books to read for quite some time. This article by Brian Dillon in the Guardian makes me think I need to move it up in the queue. This entry was posted in Criticism and Commentary, On Photography and tagged Alexander Gardner, Brian Dillon, Camera Lucida, James Van Der Zee, Lewis Payne, Roland Barthes, The Guardian. Bookmark the permalink.